..the conservation and long term maintenance of the Andean cat population and its habitat including the development of a harmonious relationship between the Andean cat and local communities.. 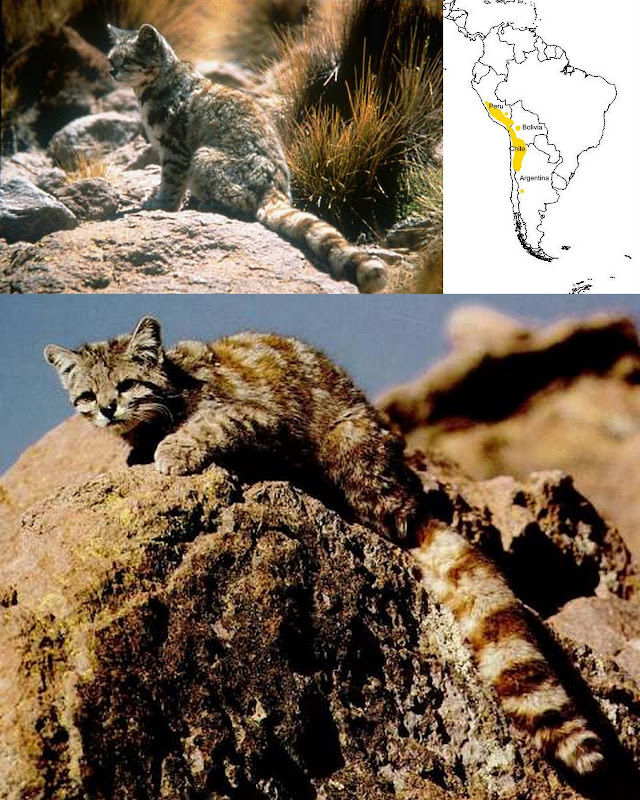 Above: Andean cat – photos from top and clockwise Jim Sanderson PhD, PoC, Wikipedia Commons. The Alianza Gato Andino is vital to the survival of the Andean cat and they are doing great work. They are a fine example of international cooperation in conservation. I would also ask people to think about a small donation to AGA. Thanks for visiting this page. This is a decent video of the Andean Mountain Cat. Sometimes people pull videos of YouTube so it goes black. Just a warning. I have never heard of this cat. I found your information very interesting. I love the pictures.